If you are reading this then you already know what the heck is Laravel. To wrap it up in a single line, it is one of the best PHP framework available right now with MVC(Model-View-Controller) Architecture. 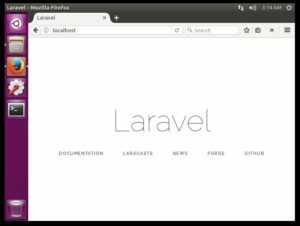 You should learn Laravel if you already are familiar with the Core PHP. This is because while developing large projects there are several issues like update management, code management and much more. A framework provides a way to do separate things in different ways making it easier to develop and update. Some of the things I really liked about Laravel are inbuilt authentication system, easy validations, and Eloquent model. There are several tutorials available on the internet for installing but while following them I was unable to setup laravel completely. So I collected all the errors and googled to fix them and wrote them one by one and compiled this tutorial. So without any further due let’s jump on to installing laravel. If you are developing a Laravel application then I will strongly recommend you to develop it using Ubuntu instead of using Windows. Because to be honest you will not learn everything on windows like you do on Ubuntu. And to be fair when you deploy your application on the server it will be Ubuntu, not Windows. 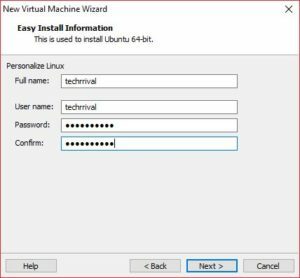 In my case, I prefer using Virtual Machine to develop an application and here I am using VMWare Workstation to setup the virtual laravel development environment. 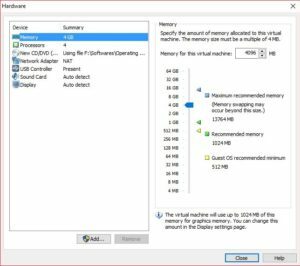 You can skip the next step if you are not interested in creating a virtual machine. You can also install it on a physical Ubuntu machine. 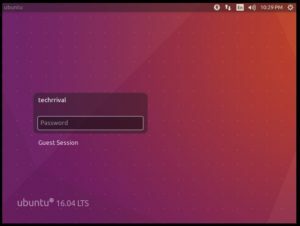 Follow the on screen instructions and enter user name and password for the new Ubuntu Installation. 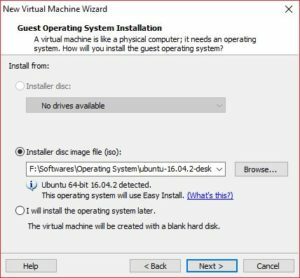 Here are the configurations for my Ubuntu virtual machine. 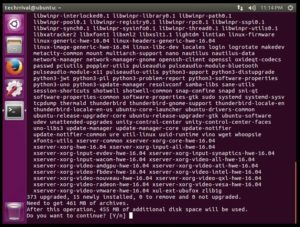 Boot up the Ubuntu and wait for the installation to complete. Before we begin installing Laravel it is better to check for updates for modules and Linux distribution. sudo apt-get update to fetch the latest updates. sudo apt-get dist-upgrade to upgrade modules and distribution. There are several requirements of laravel that are listed on the official website of Laravel. But here are all the packages that you will need to deploy a successful laravel installation. Note: During MySQL Server installation you will be prompted to choose a password for the root user. Enter the desired password and remember it because you will need it while creating a connection between the Laravel app and the MySQL server. The above command will install all of the packages that you will ever need for a Laravel installation. Here is a brief overview about what these packages are for. Wait for the installation to complete(Here Laravel 5.5). But wait when you type laravel in the terminal you will get command not found error. Here is how to fix that. Now type laravel in the terminal and boom! you are ready to roll. Now you can fire up the php artisan serve and go to localhost:8000 to see laravel in action. But we are not going to do that because instead of this temporary server we are going to configure apache2 because it is a robust solution. If you see an error like ‘error something went wrong’ then here is what to do. Go to the laravel app folder and rename .env.example to .env. Type php artisan key:generate to generate the encryption key for the app. Add the following lines below the edited line. It will enable the mod-rewrite and PHP module for the Apache server. Now all you need to do is to reboot the server so that the changes can take place. Type sudo service apache2 restart to restart the Apache server. Open localhost or 127.0.0.1 to check whether laravel app is working or not. Although steps in this section are not necessary. We will highly recommend you to perform these before beginning the development of the application. If there is ever a permission error fire up the following commands. Remove NodeJS and npm completely using sudo apt-get purge nodejs npm. Type the following commands to install and update the composer dependencies of your Laravel app. So that was all. I hope that you got your laravel installation working on the first go. If not the let us know where you are stuck using the comment section below. We would be glad to help you out. This is one hell of an article on laravel. Currently, I am running laravel in windows but I am going to give it a try and develop in Ubuntu. This clears all doubt on how to install laravel in Ubuntu. Yeah Bengotek, You are absolutely correct. But if you are in development environment then no need to worry. Actually today I deployed laravel to production server without performing this step. It’s optional. Let me know what you think. I’ve restarted the apache2 service too. Very nice write up and exactly what I was looking for! Coming from Rails I was looking to some instructions similar to what I used to get Rails up and running, and you my friend have done it! Thanks again! thanks for the article, it’s very helpful and easy to understand. regarding the apache default-conf file, I want to maintain the current document root (/var/www/html) bcoz still got a few other php applications). How should I add my laravel project so it can be access via apache? You can create a new folder for your project and paste your laravel project there and you can access it via http://localhost/yourlaravelappfolder/public. I prefer to use Debian over Ubuntu. Ubuntu has great UI but Debian has great community and timely patches. I have hosted my Laravel app on a Debian based server using the Cloudways platform and I have seen slight increase in performance when I moved from Ubuntu. This could be due to some other factor, but who knows.